You are here: Home / Studio Organization / Office Hours for an IMT:Free Printable! We IMT’s (Independent Music Teachers) do so much more than just sit around and listen to children (a common misconception) and we are spending more time at the computer or tablet. Finding resources like flash cards and games, buying and printing music with a studio license, connecting with other IMT’s with social media (like facebook,) finding new students and keeping in contact with current students takes up hours every day. 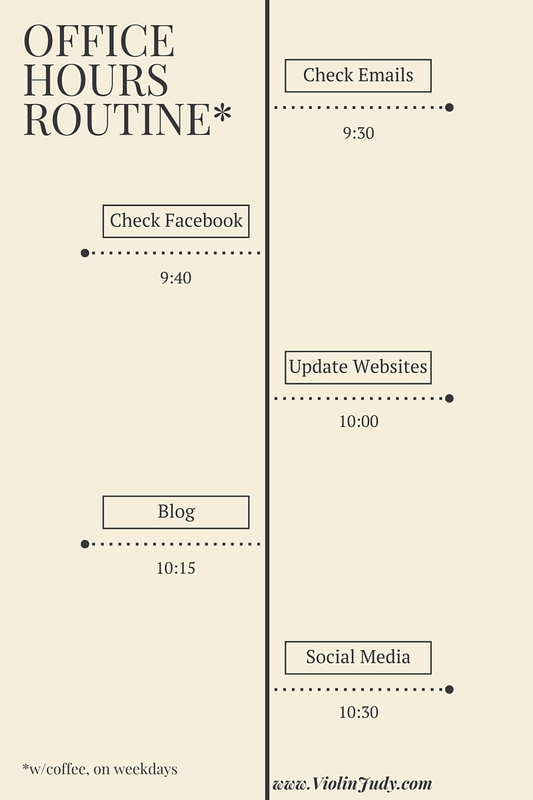 I find myself getting sucked into social media and drifting away from my intended purpose, so I created a neat little timeline for my desk; i’m printing it out and taping it on the side as a visual reminder of how I want to use my office hours productively. Feel free to check out Canva if you haven’t already and create your own, or you may download and print mine as well as a thank you for checking out my blog!